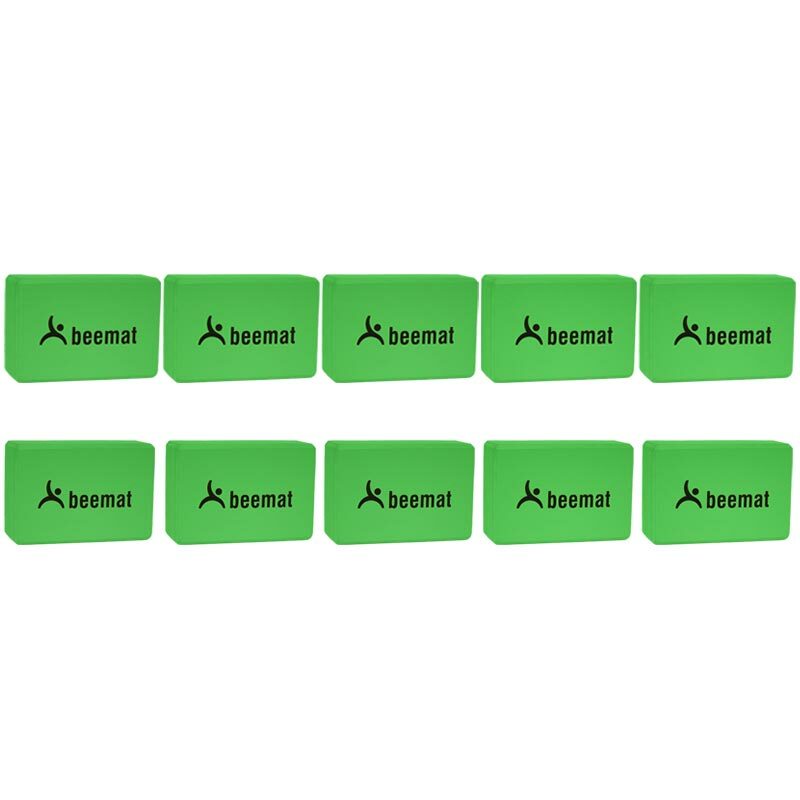 The Beemat ® Yoga Block 10 Pack is designed to help lengthen your reach and promote core muscle strength. Lightweight block is made of smooth-grip foam and is ready to handle the most rigorous workouts. 10 x Beemat Yoga Blocks. Lightweight block made of smooth-grip foam. Size 7.5cm x 15cm x 22.5cm (3" x 6" x 9").